Lawrence Peters, Sr., age 70, passed Sunday, August 19, 2018 following a brief battle with cancer. Mr. Peters is survived by his loving wife, Theresa, for nearly 49 years. He leaves behind two children, Larry Peters, Jr. and Elizabeth Peters. He is also survived by four grandchildren: Hailey, Chelysia, Kira and Justin and three great grandchildren: LaShawn (an aspiring artist), Armani and Juan. Larry was born June 18, 1948 in Atlanta, GA and is the son of the late Paul and Thelma Peters. He graduated from Russell High School in 1966 and served his country in the US Air Force. 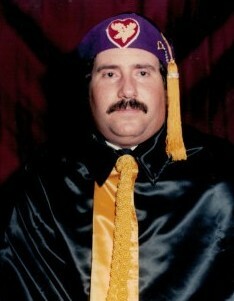 He was a life member of the Loyal Order of Moose fraternity. He enjoyed golf (a very avid player), bowling and horse racing. He will be joining his golf buddies in heaven: his dad, Paul, Ace, Frank, Harold, Jake, Roy, Cliff, Tom, Jerry and Smitty. He will be missed by his loving family, but he will not have anymore pain and we will join him in heaven when God calls us home. In lieu of flowers, you may make a donation to the American Cancer Society.